Whilst collecting is often seen as something that revolves around a specific art form or group of items, such as stamps, paintings or glass, there are some periods and styles which are so influential that they encompass almost every genre and are collectable in their own right. Art Deco is probably the most distinctive of all. Typically spanning design from approximately 1910 to the late 1930’s, Art Deco is instantly recognisable with the curvilinear designs, stark colour contrasts and elongated graceful forms, the very term conjures up a picture in the mind’s eye and suggests an image which has almost never gone out of fashion and which is still highly prized today. From ceramics to furniture, textiles to jewellery Art Deco is a hot ticket and still a stylish addition to any home or wardrobe. 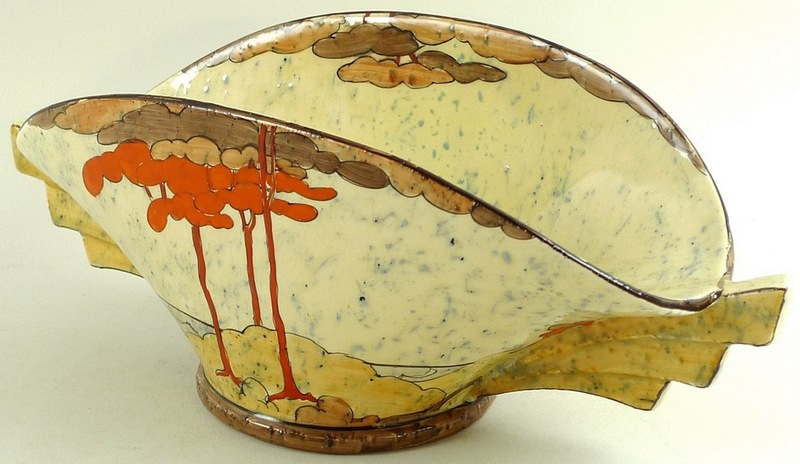 The name Clarice Cliff is one of those synonymous with design of this period, painting, modelling and designing ceramics for A J Wilkinson and the Newport Pottery, her colourful, abstract designs known as Bizarre ware were so popular in their own time that the pottery expanded, and later pieces were painted by a group of more than twenty decorators to keep up with production. Enduringly popular, Clarice Cliff continues to sell well, as this daffodil vase in the Coral Firs pattern shows selling at auction for £384 (incl. 20% BP). 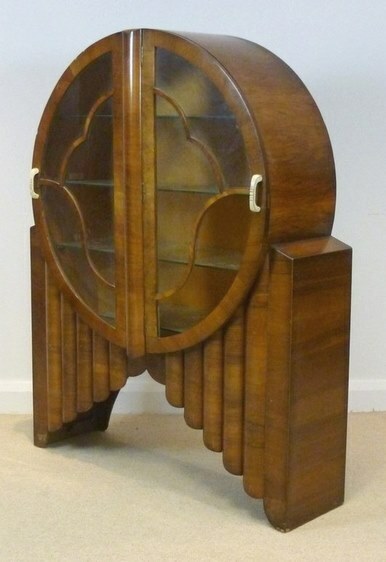 With bold geometric design and the distinctive mix of curves juxtaposed with angular straight lines, this walnut veneered display cabinet would be a statement piece in any environment, well worth the hammer price of £744 (incl. 20% BP). For those with a little less space to spare Art Deco infiltrated the design of items across the home, including radios, clocks and lighting. 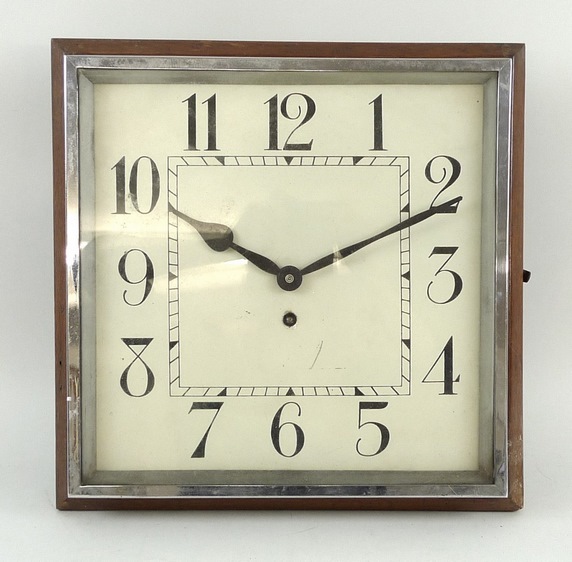 This clock of only just over a foot square could be called diminutive were it not for its classic style which makes it stand out as a stunning piece, with a movement by Garrards, it was well worth the £192 (incl. 20% BP) paid for it at auction. The 1920’s and 30’s though were also the time of the flapper, of long limbed figures draped in dresses and diamonds, of cocktails and extending cigarette holders. It was a time when jewellery and fashion design flourished. 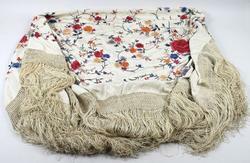 For the collector it is possible to find original dresses of the period and still very wearable - shawls. 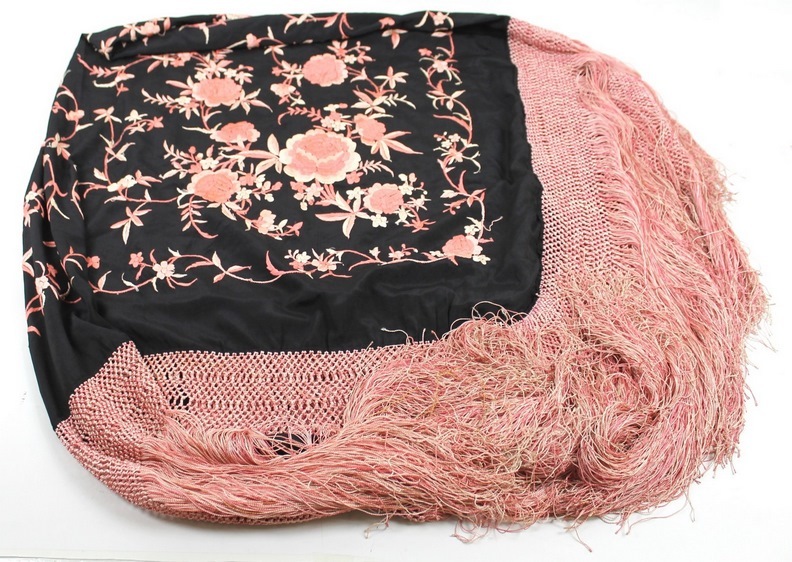 The influence of China and Egypt on the taste of the time was extensive and superb silk shawls, were imported into Britain from both countries. Used to decorate piano’s as well as adorn an evening outfit Chinese silk shawls heavily embroidered with flowers and with deep knotted fringes can still be found in attics and trunks. Selling regularly in the region of £300 for those in good condition, they are well worth a little delving. 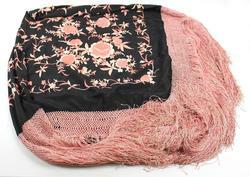 Search a little harder and you may find an Egyptian Assuit wedding shawl. 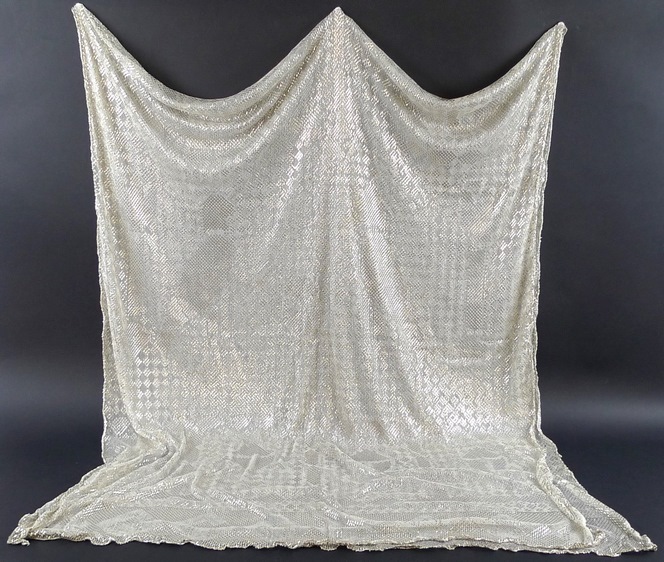 These net shawls with hammered silver designs drape divinely due to their weight and are becoming more and more sought after, recently, Batemans sold a particularly interesting example decorated with birds and camels for £660 (incl. 20% BP). 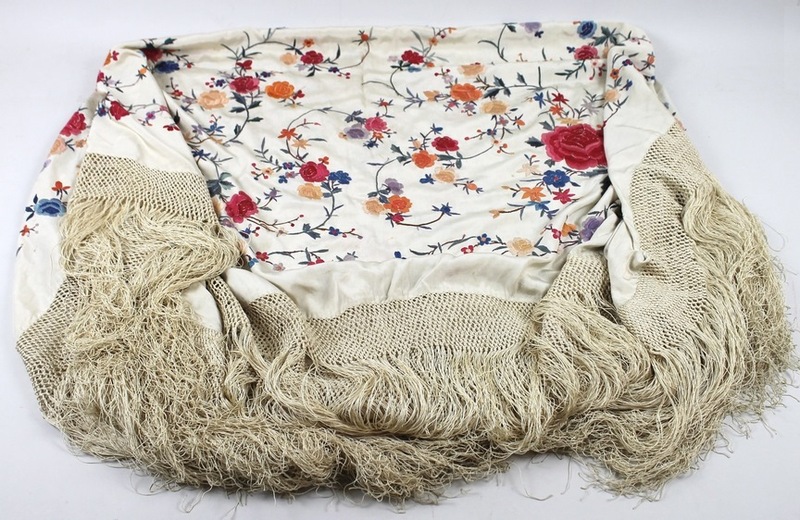 With such stunning clothing, came equally fabulous jewellery, more enduring than fabric, these gems often pass through generations of families and are still worn and sought after today. These stylised hare-bell earrings set with sapphires and diamonds were fabulous examples of the period and as such fetched a price of £2,640 (incl. 20% BP). So, keep scouring auctions, antiques markets and fairs for Art Deco and don’t forget to look through your grandmother’s old button box and you may find something stunning. 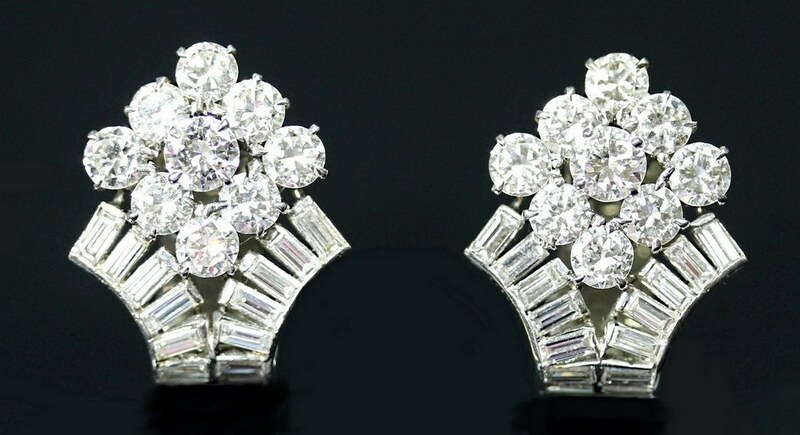 From long strands of pearls, jade, amber or jet to geometrically set gemstone rings, it is still possible to find iconic pieces, none possibly more so than these Cartier diamond earrings. 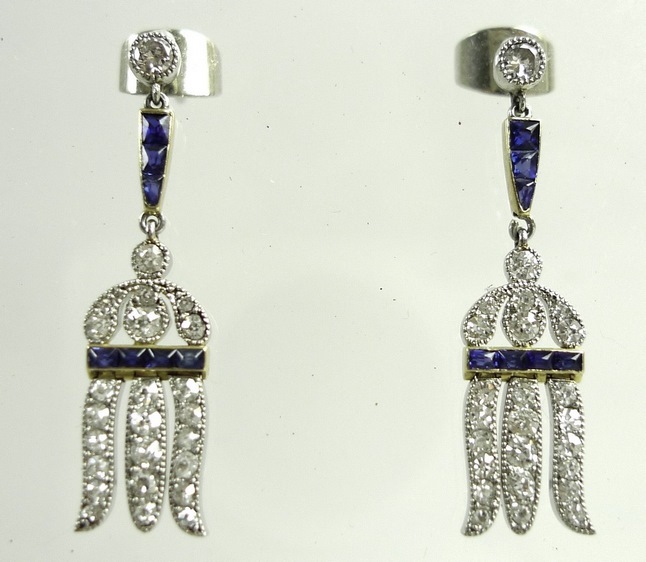 Given as a wedding present to the vendor’s family in 1937, these earrings could have made Wallace Simpson jealous. They sold at auction here in Stamford for a dazzling £32,400 (incl. 20% BP).